Motivated by the prevalence of pear trending on menus nationwide, Synergy’s Executive Chef recently developed a decadent poached pear dessert. Our Chef’s version of the dessert is accentuated with a vanilla bean crème Anglaise Sauce. The recipe includes a harmonizing combination of a dry white wine, Madagascar vanilla beans and homemade custard. To view the recipe, click here. 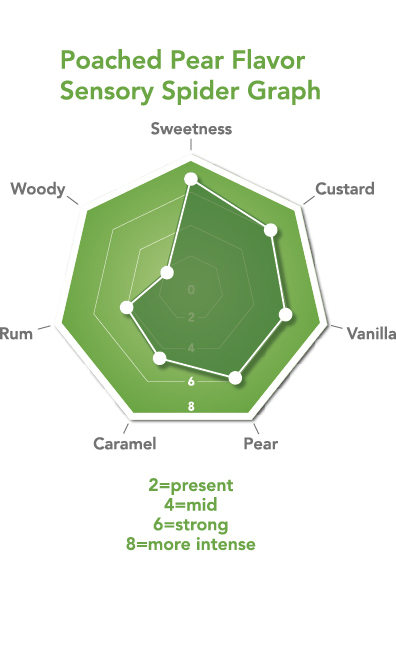 The Synergy team of sensory scientists and flavor experts studied the key flavor notes of the dessert to capture the flavor nuances. The result? 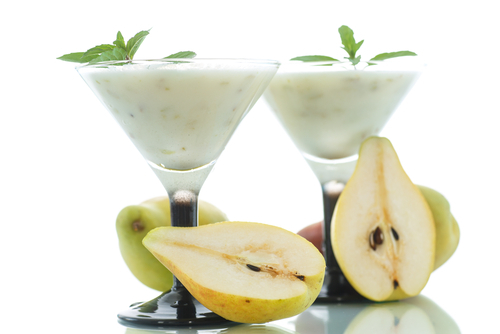 A well rounded Poached Pear flavor that is a perfect fit with alcoholic and non-alcoholic beverages, teas, dairy products, baked goods and confection. 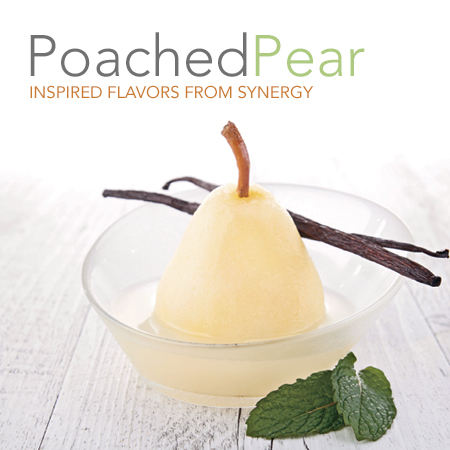 If you would like to sample our latest Poached Pear flavor or specialty application, please contact your Synergy Flavors sales representative at (847) 487-1011 or send us a note on our contact us page.